Kim Dixon of Insights, LLC has recently been announced as the 2015 Small Business Marketing Solution Provider of the Year – Northeast. Awarded by Constant Contact Inc., an online marketing company, Dixon received the award at a conference in Las Vegas last month where she was recognized as 1 of 5 recipients amongst hundreds of marketing professionals from across the country. Dixon and her team provide marketing education around the state to businesses, chambers, and other organizations. With the recent addition of Insights’ Learning Studio at their office on North Main Street in Waterbury, business owners and professionals are invited to attend locally hands-on training sessions and free workshops conducted by the Insights team. Areas of focus include social media, email marketing, Word Press website management, content marketing, and more. 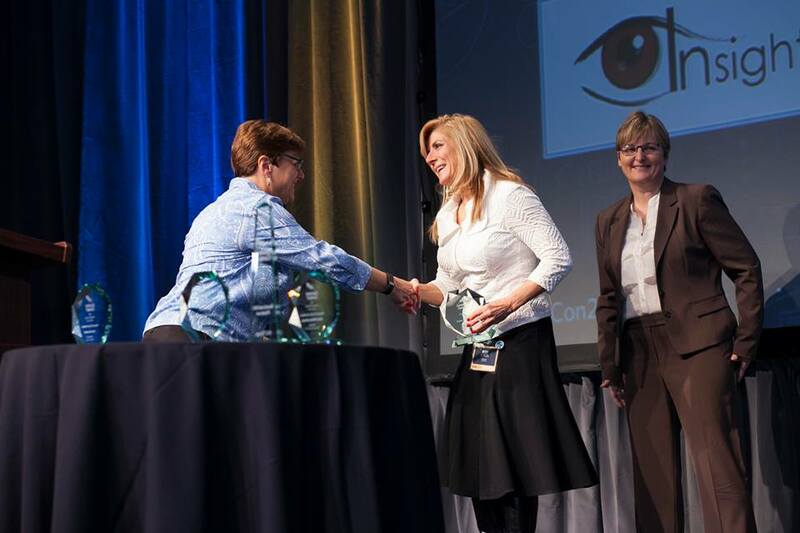 From left to right: Gail Goodman, CEO of Constant Contact Inc Kim Dixon, Insights, LLC Catherine Kniker – Chief Channel Officer of Constant Contact Inc.